This Training Bundle assists MCH professionals with goal development, advancement strategies, personal and professional skills, and public health ethics. Participants are given ideas, frameworks, and tools on how to become better leaders, handle conflict negotiation and apply strategies for both leading and responding to organizational change. Concepts and Theories covers definitions, characteristics and qualities important to leadership, distinctions made between management and leadership, and leading from where you are. (MCH Leadership Competency 2K3). Developing and Managing Teams covers topics like different functional roles of teams members, identifying effective and ineffective team dynamics, fostering an organizational climate that inspires people. (MCH Leadership Competency 10). Conflict Negotiation topics include personal experiences related to conflict, emotionality and work effectiveness, and strategies for analyzing and responding to conflict, among others. (MCH Leadership Competency 6). Organizational Change topic areas covered include resistance to organizational change, change readiness, and strategies for both leading change and responding to change. 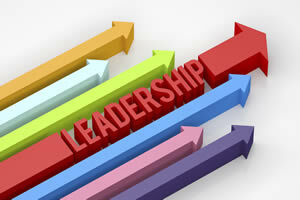 (MCH Leadership Competencies 10 and 11S6). Developing Self and Others covers themes such as organizational environments that support professional development, self reflection, motivating others for improved performance, mentoring and coaching, and succession planning, and others. (MCH Leadership Competencies 2 and 9). Ethics covers basic public health ethical issues, including the Public Health Code of Ethics, considerations in human subjects research, examples of public health ethical dilemmas, and the application of public health frameworks in emergency situations. (MCH Leadership Competency 3).